Noel is a race. Its sprite is like a small cute fluffy midget. 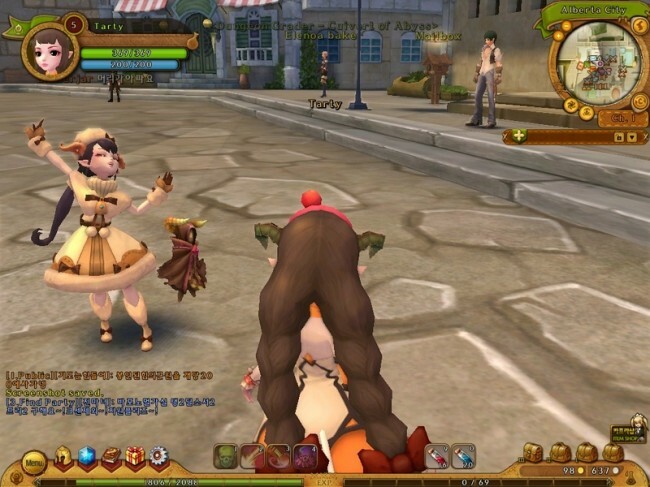 Once you create a Noel character you”ll be spawned into a unique town; which has unique quests exclusive only for Noel class. 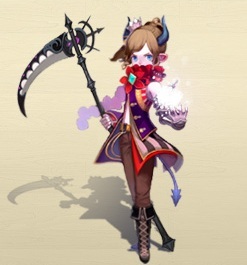 1st class of Noel is called Alter; can advance into a Crescentia or a Soul Maker once you hit level 25. Diem wind – Inflict 14% of physical attack plus 20% chance of applying stigma debuff. Crucio – Curse the enemy of 19% of your magic attack, plus DoT (Damage over time) of 9% for 10sec. Raw Tilt – Curse enemy for 30sec to increase the damage they received by 5%, Can’t be used with blindness. Evanesco – Reflect the damage done by the target by 2%. Illusion Blade – Inflict 40% of your physical attack and you can earn 2 stigma debuff at 20% to the target. The target under the curse skill gives 30% of the damage dealt additional damage. Curse Burst – Explode your concetraded stigma and deal damage 5 meters around you at 6% of magic attack, add 1% additional magic attack damage for every stigma compounded. Furnunculus – Down a curse upon the target every 2 sec for 30sec, DoT damage of 10% Magic attack, increase DoT damage every 5sec by 4%. Blindness – Physical / Magic Attack 30sec to break the balance of the spirit of the target decreases by 5%. Can’t be use with tilt. Soul Extinction Mastery – Inflict 27% of magic attack and for 10sec additional 14% DoT damage. Lending – Absorb the souls of everyone within 5 meter radius to increase your intelligence for 3 sec, you can absorb up to 5 enemy souls at a time and for each soul it increases intelligence by 2%. Restore – Restores HP of allies by 44% of your magic attack. Impositio Manus – Provides a blessing for 30mins to allies/raid members that increases physical and magical attack by 2%. 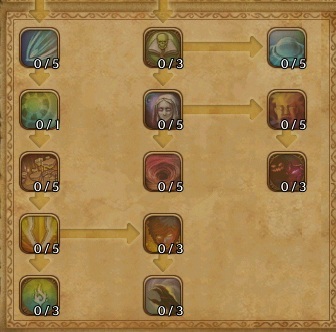 Restoration – Heal all party members within 10 meters by 19% of your magic attack, up to 5 people. Decrease by 5% each time the target is changed. Cure – Duration for 30sec, Heals the target 8% of your magic attack every 2sec. Increase by 4% every 5 sec. Dispell – Decreases any abnormalities by 10%, you can even use this skill if the person can’t move. Detection – Detect any enemies that you can’t see within 10 meter radius and has a 10% chance to stun the target for 3sec. Cure Pearl – Cast 5 heal beads around five allies to heal by absorbing damage 30% of your magic attack. Soul Link (Revive) -Your party receives 2% less damage and heals 2% faster for 5mins. 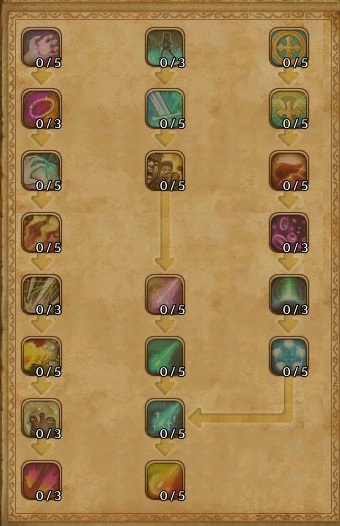 Every critical will grant you additional 1% heal. 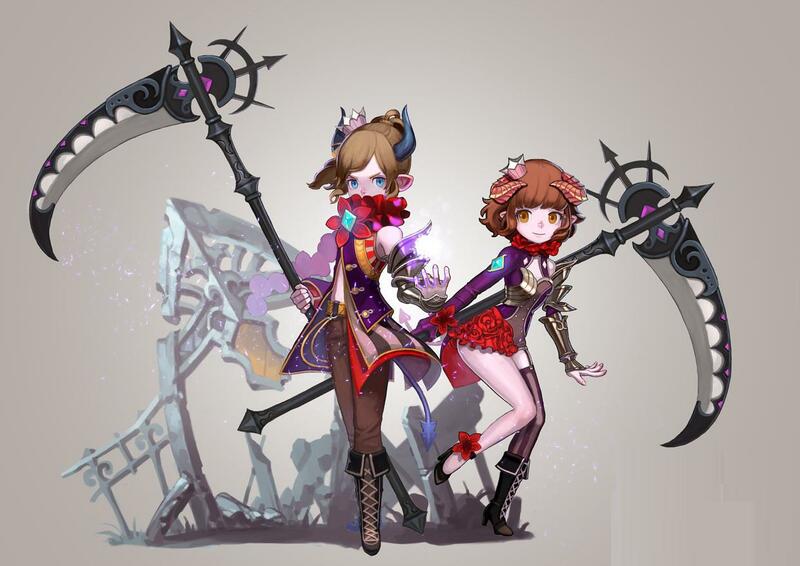 Soul Link: (Devotion) – For 5mins you share your HP to one ally, 6% of the damage they receive will be sent to you; every time you attack you’ll regain 10% of your HP. If the damage will kill you, you’ll not die instead youll be recovering 10% of your HP and will destroy the Devotion buff. Sacrifice – Sacrifice 10% of your HP to deal damage for 78% magic attack for 3-4sec. Mental Breakdown – Inflict 20% Magic attack damage, can target up to five people. Soul Extortion – Inflict 21% Magic attack damage and reduce target’s movement speed by 50%. Can target up to five people. Death Spell – Inflict 16% magic damage on the target’s 5meter surrounding can hit up to 10 people. Debuff Soul injection will be applied. Immunity – Inflict 77% Magic Attack to an enemy and 31% (of total damage done by Immunity) to heal all allies within 20 meters. Transpersonal – Increase critical power of whole raid for 30mins by 2%. Soul Link: (Concentration) – Increase the Haste and Vigor of the raid team with in the radius by 2% for 5mins and 5% for critical. 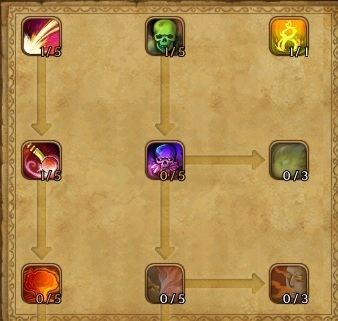 Soul Link: (Balance) – Increases the Phyisical and Magic attack of your allies for 2%. Bram Gush -Inflicts 7% Magical attack damage upto 10 enemies, Stigma debuff can generate at 6% per target. Levicorpus – Damage reduce by 10% and puts upto 10 enemies to sleep with in 5 meters. Stigma Thread – Applies stigma debuff up to 5 times on a target. Contingency – Inflicts 16% physical damage, Add Curse nesting up to 5 stacks, Per Curse armor is reduce by 1% and dealing DoT damage for 1%. Imperio -All enemies within 5 meters will have there Haste/Vigor decrease by 20% for 30sec. Earth Worm – Inflict 16% Magic attack power and reduces movement speed by 70% within 10 meters, can hit up to five enemis. Tempest – Inflict 68% Physical damage, increase damage by 1% per stigma debuff, 3 sec stun is also applied. 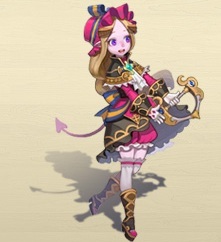 Awake: Darkness – Increases the caster’s ATK and Movement speed by 10% and reduce all damage taken by 5%, whenever you deal a critical damage the armor of your allies will increase by 1%, can stack up to 10%. Death Grip – Inflicts 77% Magic attack damage on a target and can hit up to 5 enemies with in 10meters with a 10% additional damage. 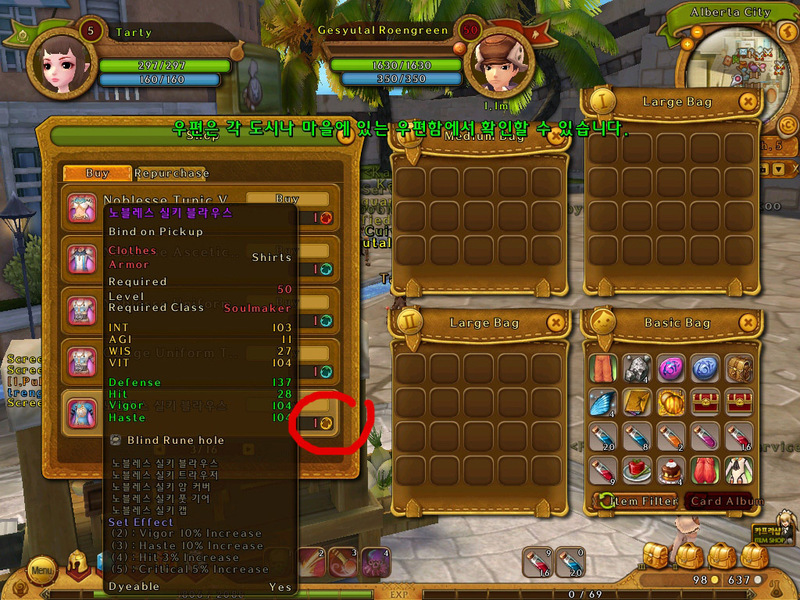 It is Yellow Token for Soul Maker. and to add it up it’s Blue Token for Crescentia. This “doll-like companion” is your off hand equipment like quiver(ranger) and shield(knights).